Projectors are an integral part of any presentation and business meetings. There are many types of projectors available in the market. One such projector is the HD projector. Some of the best HD projectors have a resolution of 1080i, which is interlaced scanning or 1080p progressive scanning. The interlaced scanning means that the projector displays alternate rows of pixels at each time. First the odd rows are displayed and then the even ones. So each time you will only see half resolution. While the progressive scan displays a full frame with all the rows being displayed simultaneously. The best HD projectors today are all 1080p, which is recommended worldwide. The HD projectors with high resolutions and brightness have sharper and clearer image outputs. Each projector has its own characteristics in terms of functionality and price and output. However, manufacturers practically utilize the same technology like the controls and responsiveness differ with each product type. You will even find that the simpler the controls the better the usability. All these pointers will help you to decide on the best HD projectors. Go through a list of some HD projectors and pick one as per your needs, budget, and ratings. The world has gradually and completed shifted towards the world of HD and it seems like you are one of them, looking for an HD projector, in the race. Good enough! But don’t let your pocket go too loose just because you need an HD projector. The five projectors we have listed above are the best of HD projectors in the market and here we are with a conclusion to let you clear your confusion. Let’s talk about the extremes first. The cheapest projector we have here is the DBPOWER T20. But then, don’t let its price deceive you. It has a powerful and bright 1500ANSI lumen picture and does have a contrast ratio of 1000:1, which is a pretty fair combination at this price. The LCD technology used for projection does produce a fair, vivid picture. But then don’t go expecting too much. Also, the native resolution of this projector is 800 x 480, which is the basic level, but then the projector has 1080p support as well, which, though, pixelates a little. On the other extreme, you have Optoma GT1080 Darbee with 3000 lumens and 28000:1 Contrast ratio. The picture quality is absolutely mind-blowing and is channeled via 3D DLP technology. Also, the projector’s Ultra-short throw ratio of 0.49:1 makes it a pro-gamer’s first choice. For color management, the GT1080 Darbee deploys sRGB and Darbee Image Enhancement for life-like image. As the name suggests, the projector has a flawless 1080p resolution which is another reason users recommend it a lot. Somewhere in the middle, you have Optoma HD142X, Epson PowerLite 1781W and JVC LX-WX50. And the one with the most lumen count is the JVC LX-WX50 with a whooping 5000ANSI. This one as well comes equipped with 3D ability and does project a 1280 x 800 widescreen picture for true cinematic experience. 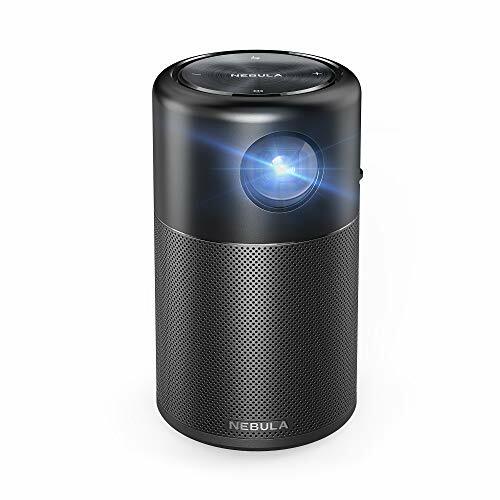 Having features like Lens shift and Corner correction, setting up the perfect picture in a matter of seconds, is not at all an issue with this projector. DLP technology is the driving engine behind the picture it throws, which can be sourced via different types of devices; thanks to its absolute connectivity. The Epson PowerLite 1781W and Optoma HD142X deliver a comparable picture in terms of quality. The one by Epson has 3200ANSI lumens, whereas that by Optoma has 3000ANSI of the same. 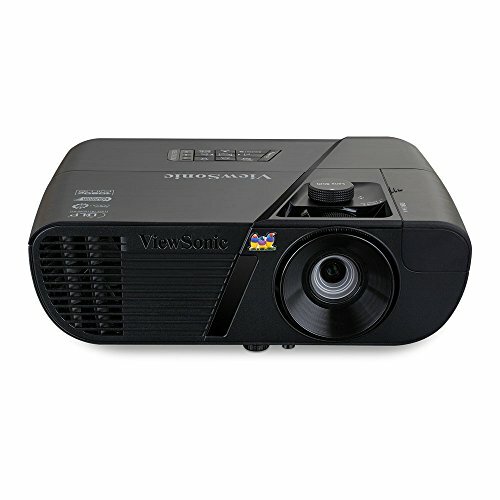 The projectors differ widely in terms of projection engines as well, as the Optoma HD142X uses DLP projection whereas the PowerLite 1781W uses 3LCD technology. Resolutions also differ; as the HD142X has 1080p, whereas the PowerLite has 1280 x 800 widescreen resolution. Wireless connection is offered by the PowerLite 1781W and allows wireless connection with various devices like Smartphones, Smart displays and laptops. In terms of connectivity, both have been strapped with MHL connectivity and all the other basic connectivity features including HDMI.